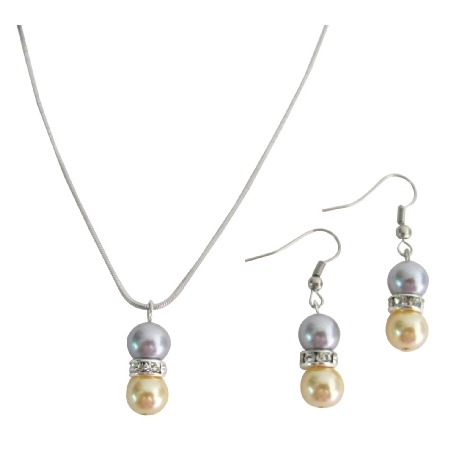 Two round glass pearls with high quality Yellow & Lite Gray pearls luster are matched to ensure complimenting color & quality for this stunning necklace earrings set. This beautiful pendant hangs from a silver plated necklace & all findings are silver plated so this necklace is sure to last. This necklace will look fantastic with your dream wedding dress bridesmaid dress work outfit.